Small Entrepreneurs and Establishments requires a communication system that offers all the basic functionalities of an Intercom, coupled with some high-end features of an EPABX at a price that fits within their tight budgets. 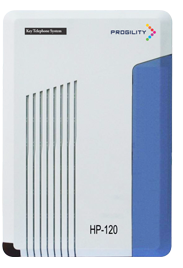 Recognizing this specific need, Sathyas Networks offers a SOHO EPABX System that provides all the required & essential features inbuilt in the system, at a price far less than any other equally competent model in the market. Thus not only does the system ensure a true ‘value for money’ proposition but also acts as a key productivity enhancement tool in one’s day-to-day telecommunication process. HP-110 Telephone System is an advanced communication tool designed to improve efficiency of your Small Office Home Office (SOHO). The system can cater up to 2 Trunk & 8 Extension fitting perfectly for your communication requirements. Integrated options, such as Caller Line Identification (CLIP) on both analog trunk side as well as analog subscribers side, makes your communication even more flexible. HP-120 is an advanced communication tool designed to improve efficiency of your Small Office Home Office (SOHO). The system can cater up to 32 users fitting perfectly for your communication requirements. It is a cost-effective communications solution, not only in terms of costing, but also for installation and operation.